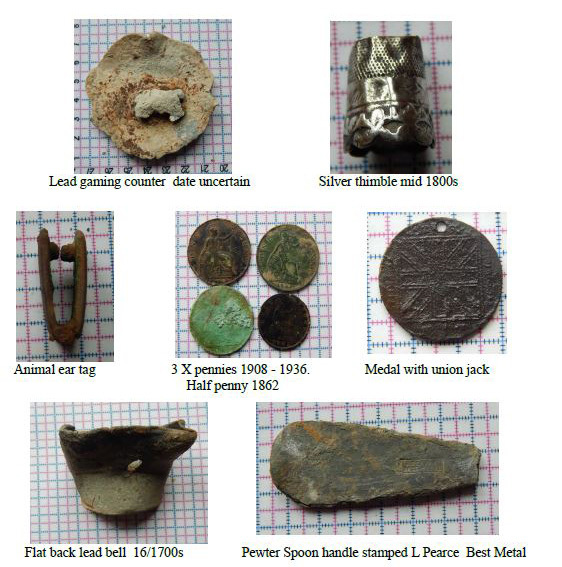 One of our customers, Rob Johnson has written an excellent local history account of his finds with a Garrett AT Pro International in the little village of Nether Heage, Derbyshire. I’m sure both newcomers and experienced detectorists will enjoy this gentle stroll through time with many pictures to help your imagination and create each scene around the village. Visit http://www.roamingrob.co.uk/ wesbite to download the book. Hi, my name is Rob and over the past four years I have been metal detecting in Nether Heage. While out one day on my first farm, I found a small buckle containing white sapphires. It was recorded by the finds liaison officer at Derby museum and dated between 1600-1720. This led me to looking more at the written history of Nether Heage. I found 3 books all telling stories of the area from the 1600s to the 1800s. I decided to look at the locations that are in the stories, to see if I could find any lost or discarded items (physical evidence) that were from this time period. It was suggested by one of the farmers I write a book on what I found. I was unsure at first,not knowing if there would be much interest, but as I went along I spoke to many locals who seemed very interested. The book is written in parts, with the first part available now. The book can be downloaded for FREE by clicking the Download Book link below. This will open a new screen in Google Drive. Click on the “Red Ribbon Logo” the book will then open. By clicking the download button in the top centre, will download the book to your tool bar. Once completed you can click on it to open the full version of the book.